The call to “eat, drink and be merry” takes on philanthropic overtones at the Warrior Crab Feed, the annual fundraiser that helps athlete scholars succeed. 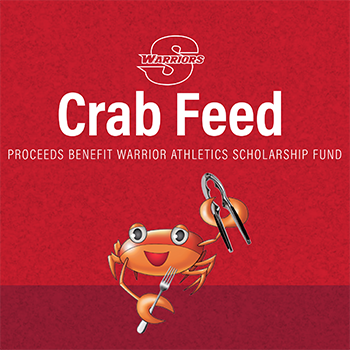 The crab feed benefits the Warrior Athletics Scholarship Fund. Additional sponsorship opportunities available. For more information, or to become a VIP Sponsor, please call (209) 667-3016.